1973—Meals on Wheels of Ocean County is started by St. Andrew United Methodist Church. Senior citizens in the Toms River area were served lunch in the Old Fellowship Hall by an all-volunteer staff of congregation members. 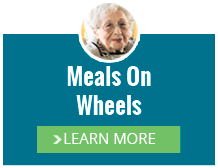 1974—Meals on Wheels of Ocean County receives a $130,000 grant from Ocean County. On February 1st, we began preparing and serving meals from St. Francis Church on Long Beach Island. At the same time, we began our first Meals on Wheels program. By the end of 1974, Meals on Wheels of Ocean County was operating three On-Site Meal Centers: St. Andrew, St. Francis and Lakewood. In just our first year of operation, we had 8 full-time employees, and nearly 1,800 registered adult participants. We were serving an average of 275 meals a day, including 21 Meals on Wheels recipients for a total of over 25,000 total meals! 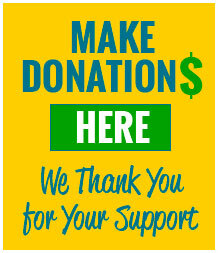 Today – more than 40 years later, Meals on Wheels of Ocean County has grown, but our mission remains the same. We now have more than 50 full-time employees, with 8 on-site meal centers and a Meals on Wheels program that covers the 628 square miles of Ocean County everyday. 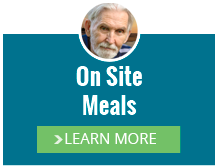 Meals on Wheels prepares about 1,200 meals per day and nearly 300,000 meals annually. 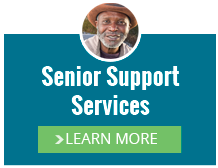 We also provide 16 distinct nutrition and senior support services to over 8,000 Ocean County seniors. We are driven by a passionate belief that senior citizens deserve to lead happy, healthy and above all, meaningful lives. From forty years of experience, we know the best way to accomplish this: By doing everything we can to keep them in the environment where they’re most comfortable—at home.